How do you have a secret relationship? What is a secret lover? How do you deal with problems in a relationship? Reasons for Keeping a Secret Relationship. There can be many reasons why a person wants to keep a secret relationship. Some people do not want their relationship to be public because they want their own personal space. Some people keep a secret relationship just because they do not want their parents to know about the relationship. Earlier you will find your secret relationship to be exciting and at a later stage, this secrecy can create problems between partners. There won't be anyone to share if you have a problem with your partner. Here partners have to deal with each other and bring a solution to every problem. A secret relationship can be exciting and sometimes can also be a problem. It is on you, how to deal with your secret relationship and with your partner. Here we will show you the ways in which you can keep your relationship a secret from your friends and family and also at work. We will also show you the ways to deal with your partner if you are in a secret relationship. 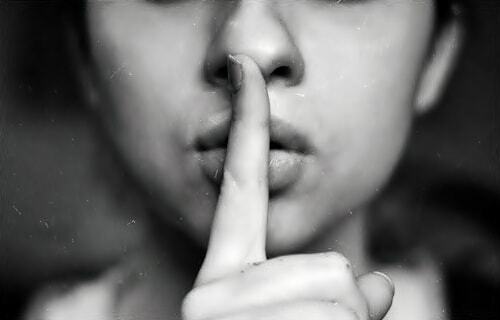 How Can you Keep your Relationship Secret at Work? There are partners who want to be in a secret relationship and do not want to disclose it at the workplace. People think that disclosing a relationship at workplace effects their work culture and also they have experienced some colleague getting too personal in their life if they know about the relationship. Example:- You just visited the office and you are looking tired and sad. If a colleague knows about your relationship he will try and ask you " did you have a fight with her/him" and then he will start giving advice. And if a colleague does not know about the relationship he won't even care to ask or give any advice. He will simply think that you are tired and that's all. 1. Romance in the Workplace is a Bad Idea. A partner who gets a free time someday at work tends to call their loved one and try to get hot or steamy on a phone call. And if you both are working in the same office do not try to get steamy inside your office. Keep your personal life away from the office because many times people have heard your conversation and tend to complain about it to the senior which can even get you fired. Some offices might not even fire you but can transfer you to the other department or give you a negative mark on the performance report. 2. Include Others at the Office to Keep your Secret Relationship Alive. If you and your partner are working together, try not to avoid people because someday people might observe and your relationship might get disclosed. If you want to keep a secret relationship try including other at lunchtime or on some office occasion etc. Be very casual at office, talk and deal with your partner like how you deal with others in the office. 3. Do not Always Take Leave From Office Together. Sometimes if you take leave together it is fine, but do not make this a regular habit. Example:- Suppose you are in the same office and you plan to go out on a vacation together and you apply for a leave together. This might get observed by people around you if you keep repeating always and they might start doubting you for your relationship with your partner. If you want to keep a secret relationship do not take holidays together. 4. Hide your Relationship on Social Media. We know that we are smart enough to hide our relationship on social media. But sometimes a single check-in to a place at the same time even on your different personal profiles can create doubt in people mind. If you have co-workers on your personal profile be sure to block them off your personal updates and only show the updates you want to by changing the privacy setting. Co-workers also have a habit to stalk on your profile if they find anything suspicious. Do not think of posting pictures of you both together, thinking that you do not have co-workers on your list and your profile is private which only your friends can see. You never know which friend can share it in his profile where your co-workers might exist. Remember this is a very small world, you cannot take chances if you want to keep your secret relationship alive. 5. Be Honest if you Get Caught for Being in a Relationship at the Office. There are chances where one or two of your smart co-workers will know that you are in a relationship even after you not telling them. If this happens, be honest with that co-worker and make him/her understand to not tell others at the workplace. Because if you do not be honest to this single person he/she might Digg more. He/she might go to other co-workers and ask them to judge you. He/she might take opinions from the other 10 people for his/her personal satisfaction. If this happens in the office, your secret relationship is at stake. So it is better to stop that single person and end it there. How to Hide your Relationship with Friends and Family. Hiding your relationship with family and friends might upset your partner. Here we will show you ways where first you need to make your partner understand why you hiding the relationship. Secondly, we will show you the ways in which you can hide your relationship with friends and family. 1. Discuss with your Partner why you Keeping the Relationship a Secret. Here when you have decided to intentionally hide your relationship there might be situations where your partners might get upset about it. Have a good and healthy discussion with your partner and make them understand the reason behind hiding the relationship. If you do not discuss with your partner there is a possibility where he/she might understand that you are not happy or embarrassed with him/her. Listen to what the other partner has to say about it and come to a mutual decision. 2. Set Time Limit to Meet your Partner if you want a Secret Relationship. If you do not have time boundaries to meet each other, one day people around you might be suspicious and your relationship might not be a secret anymore. You should be in control and follow simple time rules to keep a secret relationship alive. Do not meet each other at the same time every day. Keep changing your time schedule so no one can get suspicious about you. 3. Delete all Messages and Calls or any Communication Happened. Do not keep a single proof in your cell phone or your mailbox. Delete all the chats which happen between your partner and also phone call logs. You never know who will have your phone when you are surrounded by family members or friends. They might even check it on purpose to know what's going on in your life. If you sometimes forget to do so, you might get into trouble. The best way to communicate in a secret relationship is to buy a cheap cellphone especially to talk with your partner. 4. Maintain a Separate Email Account for Your Secret Partner. People tend to share email id's with friends or family for some of the other reasons and later they forget. It is also a possibility that you have logged in from some family members phone and password have got saved and unknowingly that family member saw your partners mail when they opened up a mail account. You won't even get a second chance to keep your relationship a secret. It is better to have a different mail account which only you and your partner know and communicate in that mail so no one can know about it. 5. Clear Browsing History if you Share Devices. If you share a computer or mobile or laptop with someone, remember to clear the browsing history because of many explorers like google chrome, firefox etc do save search history. If you have visited your partner's profile on any social media site, there is a chance for the page visit being saved in browsing history. Even if you are using your personal electronic devices it is a better option to delete all the history. 6. Always Pay in Cash if you go Out with your Secret Partner. You have to always pay in cash when you go out with your partner. Because there are chances when a family member or a friend see your credit card bill and they find inappropriate expenses. Example:- Like if you have shopped for her suppose say from forever new brand, your family member will come to know that forever new brand doesn't have a men's section. Then whom did you got the clothes for? This might be suspicious to people and you won't be able to keep a secret relationship ahead. How to Deal with your Partner when you are in a Secret Relationship. When you are keeping a secret relationship you have to deal with your partner in a very co-operative manner and be very polite in handling the situations. You have to do this because your partner has no one to understand rather than you. So do co-operate when you face some bad situations and when its the time to understand your partner. In the start, a secret relationship can be fun and even exciting but after a while can turn out to be bad. This is the time when you have to deal with your partner properly. Below are some steps you can follow to handle your partner when you are in a secret relationship. 1. Stop Making Assumptions in a Relationship. There are a number of reasons why your partner wants to keep your relationship a secret. Never ever directly assume bad and jump to a conclusion without talking to your partner and sharing about what you feel. The reason can be very simple and understandable if you talk clearly to your partner. 2. Keep a Healthy Relationship with your Partner by Sharing. There is a possibility where your partner might not be comfortable with this secret relationship or might not be able to understand the reason for keeping the relationship a secret. Sit with each other and share everything without fighting or arguing with him/her. Talk with respect and use kind words so that your partner does not feel offensive about it. Take care of your body language and facial expression when you talk to him/her about the relationship. 3. Scared of Defining a Relationship too Soon if Yes then Tell your Partner. There must be problems in the past or with the ex and hence your partner is scared to define the relationship so soon and that can also be one of the reasons for a secret relationship. Your partner must have experienced bad things in the past. It will be good if you try and ask your partner about it and be clear. 4. Your Partner Might be Hiding the Relationship Because of Other People's Opinion. For example, now let's talk about your parents. If parents have a very strong opinion about how he/she should have the partner for life and if you do no fit in that criteria it can also be one of the reasons for a secret relationship. People keep their relationship a secret just because they do not want others to talk about their relationship or themselves. This can also be to avoid the stress from other people who are involved in life. Talk to your partner about the same and find the solution right now on what you will do later and how will you tackle this situation. Make a full proof plan which works when you open up about the relationship with parents or others. 5. Unhappy in a Secret Relationship then Reveal It. It is good to reveal your secret relationship if anyone of you is uncomfortable or unhappy with the relationship. Do not stretch your relationship on the expectation that things will change later. Only give some month time for things to change and if things do not change between you, then open up your relationship. Only be in a secret relationship until and unless you are happy. Care about your partners feeling and if he/she understands, then it is good for you and if not, you are free to go and share it with a trusted friend. 6. Handel Stress in a Relationship the Matured Way. When you are in a secret relationship it can be very stressful and this stress can lead to problems. You won't get the space like you get in a normal relationship, this abnormality can lead to stress, depression, insecurity etc. You might also feel lonely in a relationship which just started. If anyone of you feels lonely or are unhappy go an reveal your relationship without stressing.